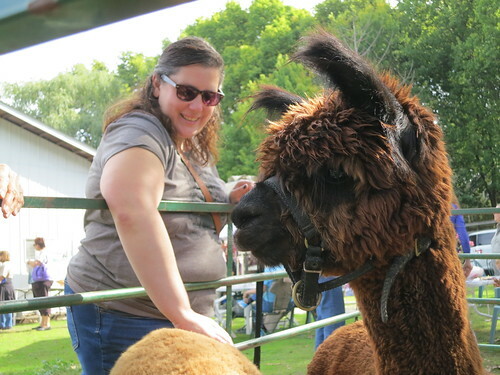 I was so excited for Alpaca Days this year! I was tweeting and Facebooking up a storm about it. It had been 5 years since Alex and I made it out for this event, and we weren't going to miss it this year. 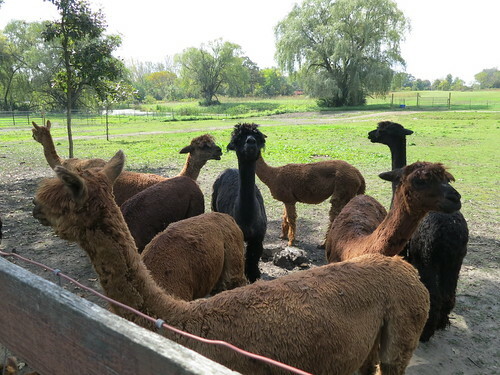 We headed out pretty early and checked out Safehouse Farm, which is less than 10 minutes from our house in Barrington, IL. It was our favorite stop of the day. 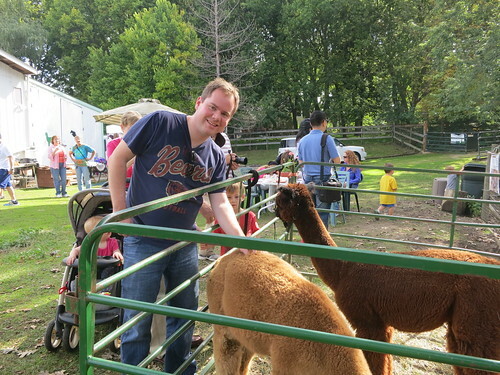 We got to pet some alpacas while at Safehouse, which made me so so happy (and Alex like it too)! 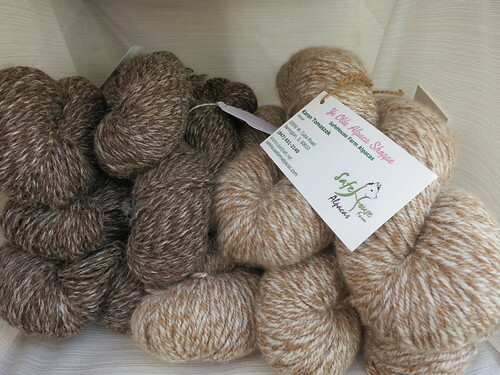 Of course I had to browse the yarn selection (but no yarn came home with me this year). After that we headed out to Andean Vista Ranch in Crystal Lake. It was lovely there too. 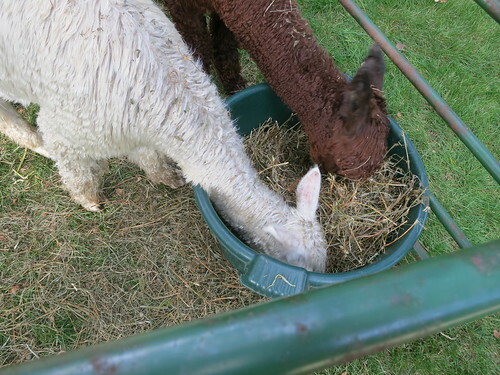 We met the owner and she told us all about her herd and how she got into the alpaca farming business. It was so interesting. 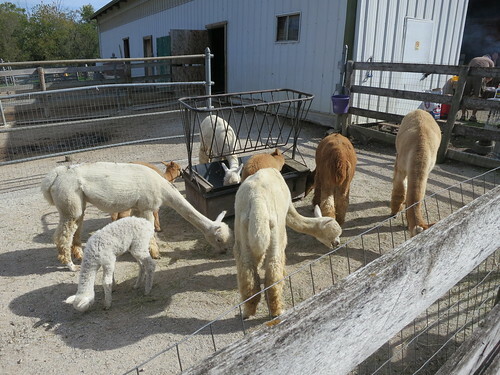 Kinda made me want an alpaca farm for myself. Overall, it was a great day. I hope it's not another 5 years before we go out for this annual event! 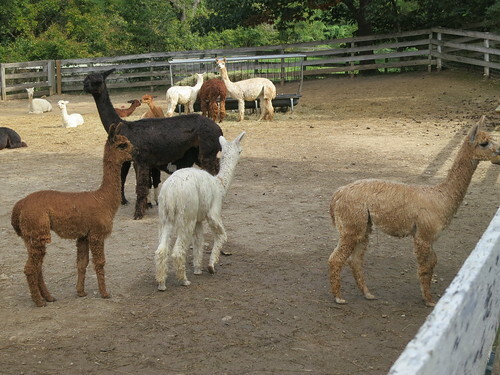 Did you check out any alpaca farms over the weekend? If so, where did you go?